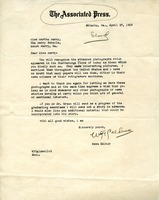 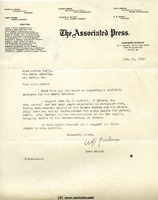 Caldwell writes to Martha suggesting Mrs. Carroll as a publicity employee for the Berry Schools. 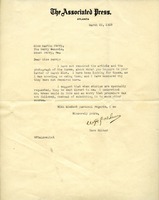 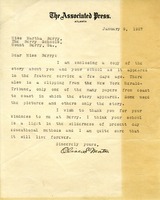 Letter to Martha Berry from unknown referencing clippings of a newspaper announcement released by the Associated Press that did not mention Rome, GA.
Mr. Martin writes to Martha Berry and the Berry Schools enclosing with the letter a copy of a news story about the school that was in the New York Herald-Tribune. 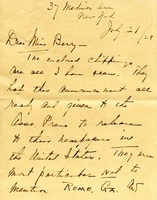 He says that he thinks the Berry Schools are a "light in the wilderness of present day educational methods."